Programmed Electrical Technologies is Australia’s foremost provider of totally integrated audio visual, communications, electrical, lighting and energy management services. We specialise in offering defence customers complete end-to-end solutions, and have at least 300 staff holding defence security clearances some of whom are permanently based on major defence bases and sites. From initial assessment, design and construct, project management and installation to ongoing monitoring, service, as well as maintenance, we streamline multiple related services into a single installation. We’re a national company too. So, wherever you may be located – we’ll be there, right by your side. For over 35 years, Programmed Electrical Technologies has been supporting Australia’s Defence industry. We’ve been behind some of the tools and the technology necessary to help sustain our nation’s defence capabilities. Townsville, and across multiple sites. 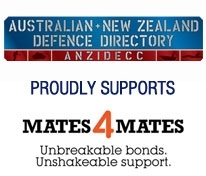 • Of our 600-strong directly employed workforce, over 300 hold defence security clearances. • We are members of the Defence Industry Security Program (DISP). To respond to the unique environments of our Defence customers, we ensure timely efficiency, strict confidentiality, stringent security, and a Zero Harm safety culture. Access a range of related services in just a single installation. Each solution is tuned to individual customer and project needs, and fully integrated too. To make it easy for you, we streamline project management, and provide just one point of contact for simplified communication. Our team of technicians consist of our own highly skilled technical staff. They undergo regular training on every service we offer, from hardware and software to installation, so that you can access solutions that are at the forefront of new technologies. Together, with our framework of a complete national service offering, we can confidently provide services able to give you best value.